Water is precious in California. We were happy about the rain last night. It was not very much but it cleared the air somewhat. 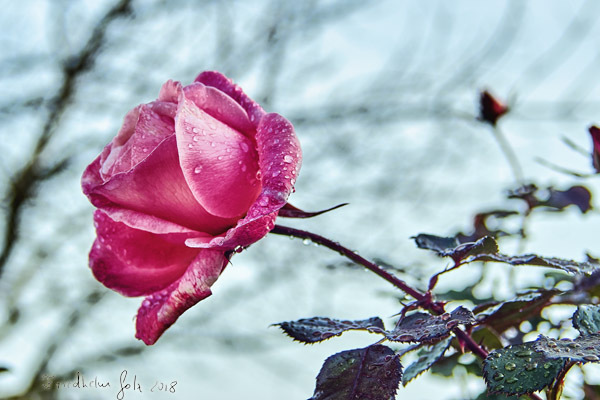 I noticed the beautiful light this morning and I decided to photograph the rose in my front yard. I used a white reflector to illuminate the rose from the bottom.